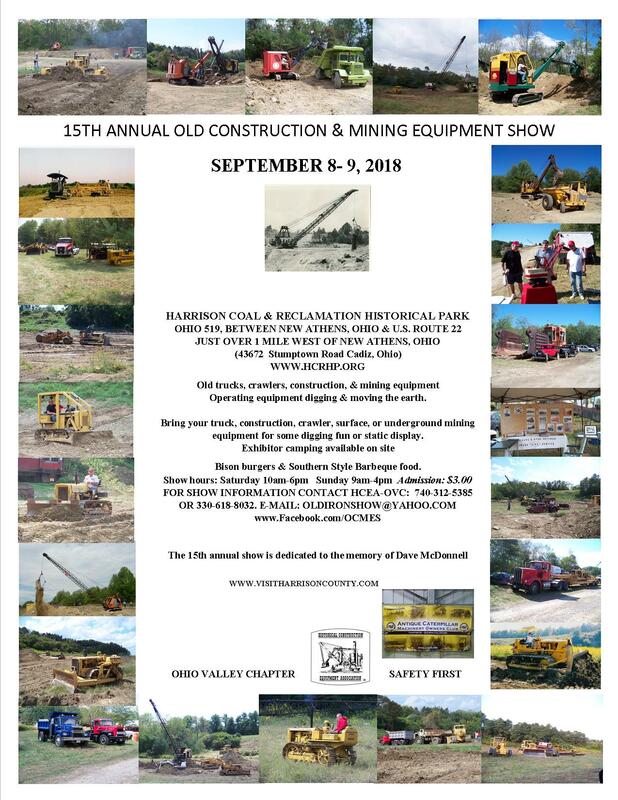 All antique trucks, construction, crawler, and mining (surface or underground) equipment are welcome. Machinery, volunteers, and equipment operators have came from Western Pennsylvania, Columbus Ohio area, Northeast and Southeast Ohio over the past years. One and a half weeks away.